This is a beautiful Claddagh Ring made from 14 Karat Gold with a beautiful Diamond in the Heart. 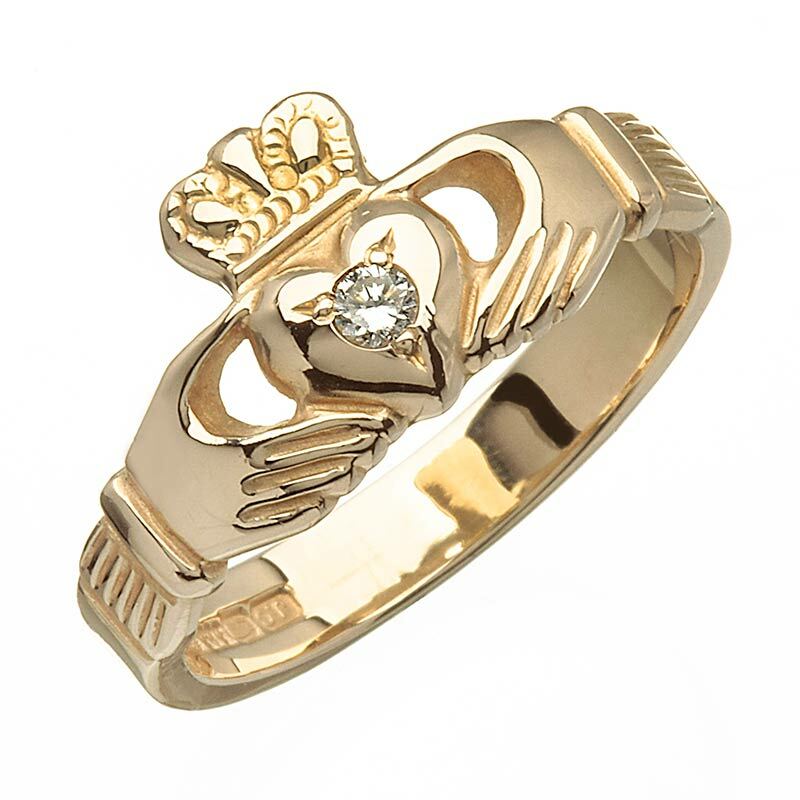 It has the classic features of Heart, Hands and Crown. The Heart representsLove, the Crown stands for Loyalty and the Hands represent Friendship. How the ring is worn is very significant - when the Heart points to theWearer's Heart it signifies that the Wearer's Heart is taken - when the Heartpoints outward it means that the Wearer's Heart is free. This ring is called Blarney after BlarneyCastle in Co Cork - a place in Ireland full ofhistory and majesty - a place where people are bestowed with the "Gift ofthe Gab".